Hope everyone is keeping well. Every time I see someone with long and thick lashes, I am in AWE!! I love how lashes make the eyes stand out; however, not everyone is blessed with naturally thick and long lashes. We can ofcourse do a lot of things to enhance the length and volume, but who has the time? After a hectic day, I don’t think anybody would want to stand in front of the mirror working on their lashes and that is when MASCARAS come to rescue. So, today I will tell you a few mascara tricks that can help change the game, without having to work very hard! 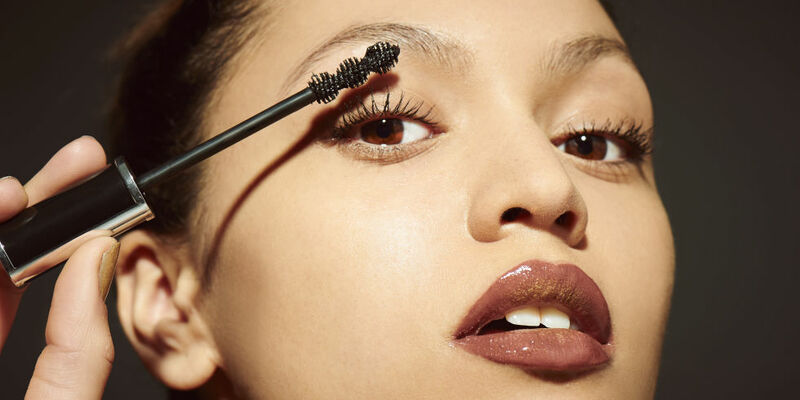 Okay, this may sound bizarre, but trust me, you really do not need to use the wand that comes with your mascara, even to coat the tiny hair on the inner corners. You can work your lashes with an eyelash comb or get some additional wands to create different looks. Just layer it with a little amount of mascara and sweep it through your lashes. However, you need to be very careful as those needle-like teeth get really close to your eyeball. Yes, we often do this! Instead of pulling out eyeliner to tightline, you can just use your mascara by just pressing the brush against the lid at the roots; it creates an illusion of thicker lashes. Also, when the area is concentrated with more product it helps maintain the curl. Well, most of the times, one mascara isn’t really able to deliver the results we’d like to see. So, you could just create your own mascara dream team by using something volumizing for the lashes and something lengthening for the tips. Or you could even make it simpler by using a brush for one coat and then following it up with thick textured mascara. Most people don’t do this because they feel it will weigh their lashes down, but no! If you want to add that extra length to your lashes, blot the excess mascara on a paper towel and then follow up by sweeping the mascara wand on the back of your lashes, then do it on the other side to lift them up. Okay, you may think I’m crazy to be saying this, but it does look really good and makes the lashes stand out. By spider I don’t mean clumpy or thick, they are just your lashes pinched together into points. To create the spider lash look, apply your mascara followed by translucent powder, then apply a second coat and use tweezers to squeeze the lashes together. We often use the up and out method to apply mascara. However, the diagonal method helps in creating a wide eyed look that is flattering. To create this look, instead of pulling the brush out straight, pull it at an angle, and spend a little extra time to define the outer corners. So, these tips will help you in creating those long and thick eyelashes that we all crave for. Choosing the right mascara is only the half battle won, you need to know the right tactics to make your lashes stand out. I never knew we could tight line using a mascara wand. That’s scary to me. I’ll try to reach closer to the roots of my lashes, it gives a nice, fuller effect. I didn’t know many of these tricks. Diagonal application works better, I am gonna try this! Going to follow every single one of these tips. I am a mascara freak. I think over the years mascara has become one of my favourite things in eye makeup. I love mixing two mascaras. I feel they create better effect than using just one.